Your foot consists of more than 30 different joints, and every single one of them is impacted every single time you take a step. These KEEN Utility Milwaukee 1009173 steel toe waterproof boots cushion and soften that impact to take the pressure off of all those ten ... (see full details) (see specifications) #KEN1009173. Your foot consists of more than 30 different joints, and every single one of them is impacted every single time you take a step. These KEEN Utility Milwaukee 1009173 steel toe waterproof boots cushion and soften that impact to take the pressure off of all those tender joints. Bold yellow accents brighten up the black leather used to make the distinctive uppers of these KEEN Utility boots. The full-grain leather of these Milwaukee boots is durable stuff, made for flexibility and hard-wearing strength. It's also waterproof, and capable of keeping you dry even in ugly and uncomfortable weather conditions. Full-grain is a tough material with the unique ability to stay soft and flexible around your feet, even when it's wet while wearing these safety toe boots. Inside, the KEEN.Dry waterproof membranes continue to work to keep your feet dry. They block moisture, but not air. The thin membranes of these waterproof boots keep your feet breathable, naturally releasing heat and allowing cooling air to get to your skin. Even the lining works to keep your skin drier and more comfortable. The hydrophobic/hydrophilic two-zone comfort technology both repels and absorbs water, so either way, your skin ends up staying dry and healthy if you wear these EH boots. Dual-density footbeds soften your steps. Two layers of EVA foam keep your steps airy, not heavy when you wear these men's boots. The light foam absorbs impact, and that saves pressure on more than 30 different foot joints. That's a whole lot of comfort. The Metatomical design of these steel toe boots matches the natural bends and curves of your feet. The non-marking rubber outsoles of these slip-resistant boots are attached with patent pending KEEN.Welt construction. This is a stitched construction method that keeps the soles flexible so that every step is easier. The strong stitching keeps the soles securely attached to the leather uppers. You'll want them there. The soles of these black boots are slip-resistant, to give you gripping traction even on slick and unsafe flooring. Oil-resistance protects the tread from common corrosive chemicals. They're EH rated to protect you from electrical hazards. When you work around open circuits, these water-resistant boots will absorb dangerous electricity, and you'll end up staying safer. The steel toe caps are designed in a left and right asymmetrical style. The angle matches the natural slope of your feet. These have been rated to meet ASTM F2412-11 and F2413-11 1/75 C/75 standards for protective footwear. Cushion and protect all those joints, and every other part of your feet. Wear these men's KEEN Utility Milwaukee 1009173 steel toe waterproof boots. Like the boots a lot, but today my toes got wet and I was very upset. Boots are very comfortable and seem to be a very sturdy boots but they aren't waterproof if my feet got wet. The boots were said to be completely waterproof. 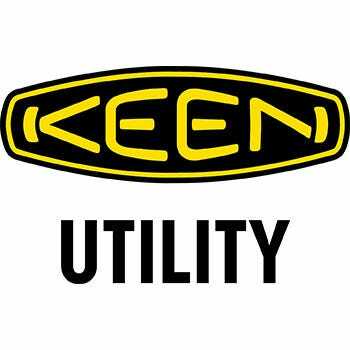 KEEN Utility Men's 1009173 Milwaukee Steel Toe Waterproof Boots is being added to your cart.